Gold has a unique place in both human history and the modern global economy. No other metal parallels gold in terms of its influence on humankind. It has been used in virtually every civilization as currency throughout time and all over the globe. So what it is it about gold that makes it so valuable? Why has it endured for thousands of years with no signs of stopping? In this blog, we will first take a look into the practical reasons why gold makes sense as a currency, and then we will delve into the rich history of gold for a greater understanding of its relevance to the global economy today. Then, we will look towards the future, and what it means for you and your team. 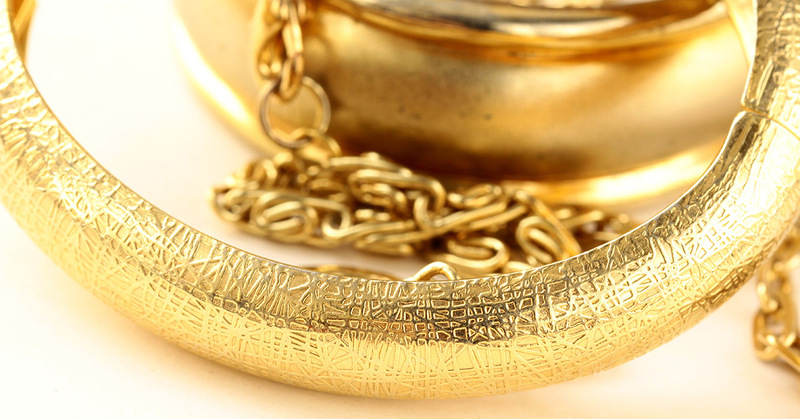 First, consider these practical reasons why gold makes sense as a currency. Consider carrying around a drum of oil to exchange for goods. Doesn’t make much sense, does it? Gold, on the other hand, while heavy, is extremely portable in the form of coins. In the past, you could put your entire wealth in a bag and carry it with you in the event of migration or a disaster. Gold is an inert metal that does not corrode or rust. This means that its value lasts for years to come. Families could pass their wealth from generation to generation without fear of it losing value. Imagine doing the same with paper money, which deteriorates and changes over time. You can trust gold because testing its purity is quite easy and inexpensive. In contrast, trying to test if a foreign note is counterfeit is a lot less simple. Gold supplies are stable and have been for centuries. It is not likely that new gold mines will be discovered. While it’s easy to print more paper currency, debasing its value, the same cannot be done with gold. Only about 2,000 tons of gold are made each year. Gold is single grade, thus, singly priced. This translates to it being highly liquid. There is a variety of grades of oil and diamonds, for example, making them more difficult to trade. All over the world, gold is recognized as currency, making it extremely flexible and easy to trade globally. While other metals such as platinum have many industrial uses, gold holds little value in this area. Therefore, by using gold as currency, countries are not taking valuable industrial materials away. Beyond the purely practical reasons for gold’s predominance as currency, it also has a long, storied history. When you look at gold’s history as currency, you can have a greater understanding of why this precious metal has remained so precious, still dictates our economy to this day, and will continue to for years and years to come. 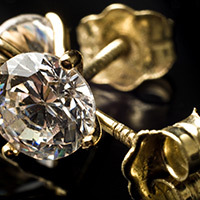 Gold has fascinated humankind since the beginning of recorded history. Though the first instance of human interaction with gold is unknown, gold flakes have been found in Paleolithic caves, dating its use back as far as 40,000 B.C. Gold has been mentioned in ancient texts all throughout time and throughout the world, indicating the the first humans to interact with this precious metal were just as fascinated with it as we are today. The first evidence of humans finding gold was around 3,000 B.C. in ancient Egypt. Gold was present in much of Egyptian mythology, and was heavily revered by the pharaohs and priests. This is demonstrated by the fact that the Pyramids of Giza feature solid gold capstones. Ancient Egyptians were also the first to produce a currency exchange ratio between gold and silver. One piece of gold was equivalent to 2.5 pieces of silver. This is the first scale that demonstrated silver’s lower value to gold. Egyptians also used gold maps that revealed where gold mines and gold deposits were around the kingdom of Egypt. Some still survive today. Though gold was revered, it was never used for bartering. Instead, they used crops such as barley to act as money. The first civilization to use gold as currency was the Kingdom of Lydia in around 500 B.C., which is in present-day Turkey. Later, ancient Greeks saw gold as a status symbol and proof of the glory to the gods and demigods. Mortals used gold to indicate their wealth, as it was used as currency. 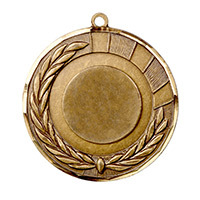 However, the gold medals of the Olympics is a modern tradition; this did not start with the Greeks. Evidence of gold’s ancient value is also evident in the Bible. In Genesis 2:10-12, the lands of Havilah is described as a place where good gold is found. Other ancient civilizations also used gold, such as the Incas and Aztecs. Gold was used during religious ceremonies and as a part of the architecture. One trend can be seen in the use of gold in all these ancient civilization: it was a status symbol that separated the classes. If you held gold, you held power. The modern history of gold was forever changed in 1792 when the United States adopted a gold and silver standard. Congress passed the Mint and Coinage Act, which set a fixed price of gold using U.S. dollars. With the passage of this act, silver and gold coins became legal tender. During this time, gold was 15 times the value of silver. Silver was for small purchases and gold was for larger denominations. The U.S. Mint was required to trade gold and silver at 15 parts silver to one part gold, which meant gold’s market value was relatively stable. This ratio changed after the Civil War. The United States was unable to pay its debts with silver or gold; therefore, they turned to paper money in 1862. This was the first time the US adopted a fiat currency (meaning it could not be converted at a fixed rate) as official currency. In 1873, with the passage of the Coinage Act, silver was removed from the Mint’s fixed rate system. This ended the silver dollar’s use, though small coins still contained small amounts of silver. Silver dollars were never adopted by the US again, and this was a hot political topic throughout the end of the 19th century. In 1900, the gold dollar was announced as the standard unit of account, and paper dollars issued represented the gold reserves. In the 1800s, gold rushes were prevalent. As one piece of gold could make you a millionaire, people from all over the country rushed to be the first to find some. 1799, North Carolina: The first significant US gold rush occurred when a child found a 17-pound gold nugget in North Carolina in 1799. 1848/49, California: Prospectors from all over the world came to San Francisco during this gold rush in 1848/49, hence the football team’s name, the 49ers. Before then, the population of San Francisco was 1,000; within two years, it exploded to 25,000. 1896, Klondike: During this time, gold was discovered in British Columbia in the Klondike River. Prospectors fought against the bitterly cold climate in order to claim their fortune. 1850s-1890s, Australia: Australia had several gold rushes after 1850, which helped to populate the desolate Outback. The existence of many towns still around today are due to the gold rushes that occurred during this time in New South Wales, Victoria, and later, in Western Australia. World War I and World War II caused great chaos on the global economy, made worse by the Great Depression. After so much conflict, in 1944, the major world leaders came together for the Bretton Woods Agreements. This created the gold exchange standard, which fixed the price of gold according to the dollar. This new method gave the USA incredible power in the world market. The dollar was chosen because the US’s economy was the strongest after WWII. This is because the US did not have to repair infrastructure that had been destroyed during the war, unlike many European nations. This was the beginning of the US dollar as the economic power player it is in the global economy today. The price of gold was fixed at $35/ounce. The gold standard collapsed with the Vietnam War. After this tumultuous war, the US economy was in shambles, causing President Nixon to end the Bretton Woods system in a move that is now known as the Nixon Shock. Between 1971 and 1976, attempts were made to save the gold standard, but the price rose and rose beyond any currency. As a result, gold pricing charts were created in the early 1970s. Between 1970 and ‘71, the price was rather flat, but jumped to a record high in 1980 at $800/ounce. Today, no world currency uses the gold standard. The last currency to use it was the Swiss Franc until it changed in 2000. However, most countries have a large gold reserve they use as defense for their currencies in the case of emergency. US gold reserves as held at Fort Knox in Kentucky, though the exact amount of gold is unknown by the general public. It is generally believed that the US has more gold than any other country. While investing in gold has always been considered wise, it saw a large surge in popularity after 1971 with the end of the Bretton Woods system. The price of gold was increased steadily since this time, but not on a straight upward trajectory. Like any investment, it has gone through ups and downs in recent history. It’s important to take any gold investment charts with a grain of salt, accounting for inflation; however, major spikes in gold prices have occurred in the last few decades; once in 1980, as stated above, as well as in 2011. Gold has changed over the last 20 years in a few major ways. In 1999, the price of gold dropped to $251.70, when rumors spread about the central world banks reducing their gold reserves and mining companies sold gold in forward markets. However, by 2003, gold was back on top with the US invasion of Iraq, as many saw gold as a safety net during this politically tumultuous time. The price of gold continued to elevate under these political pressures, and with the 2008 financial crisis, the price rose even more. It reached an all-time high in 2011 at $1,900/ounce, but has fallen since then. In 2015, the Federal Reserve hiked the interest rates slightly, which benefited gold throughout 2016, but tanked the stock market. With knowledge of our REACTION model that we discussed in a previous blog, you can see why the future looks bleak. In the near future, we can anticipate major issues with the US dollar, with inflation in some areas and deflation in others. As we remain balancing on the knife’s edge of global economic collapse, the Federal Reserve can no longer fall back on their tradition of rate-cutting. Economies around the world are not in a better position, so they will not be able to save the US economy either. Many of these countries will probably rely on SDRs to protect themselves; however, on an individual level, investing in gold will be the best way to protect yourself. With an understanding of financial data analytics, you can anticipate the movements in gold, investing strategically to ensure maximum benefits to you and your team. However, without an intimate and extensive knowledge of gold, there is little you can do. Fortunately, Meraglim™ provides the financial data analytics that institutional investors and global leaders need to anticipate changes in the global money market to their advantage. To find out if you could benefit from our services, contact us today.